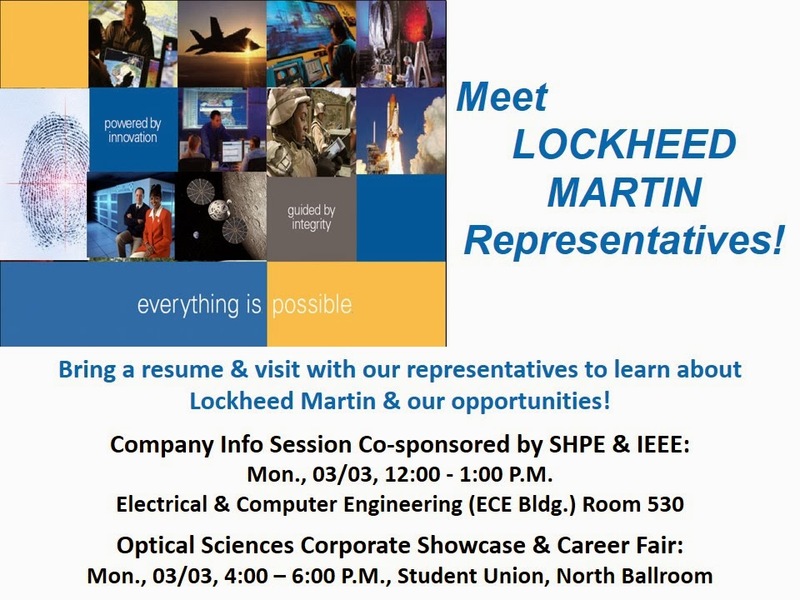 The Optical Sciences Career Fair is open to all Engineering majors! There are many opportunities for ECE students too. It will take place at the SUMC North Ballroom, 4-6pm. Bring resumes and dress to impress. 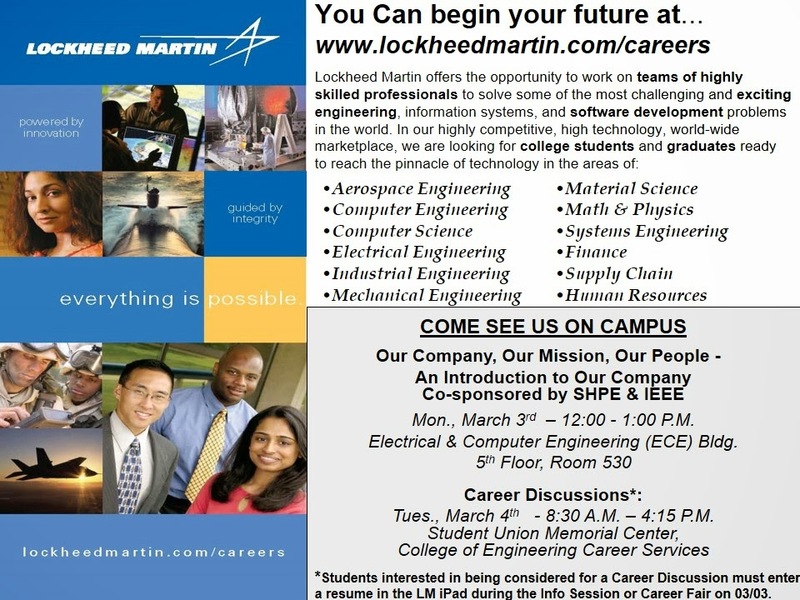 IEEE is co-sponsoring a Lockheed Martin Info Session at noon in ECE 530. Bring resumes.